Well, this is it… We are finally at the end of our 2013 SEMA journey. Hopefully all of you have enjoyed the coverage thus far. I’ve tried my best to streamline the coverage this year while still trying to cover what I felt was the best of the best at SEMA. Today, we’re going to be looking at the final photo set from my trip to Las Vegas. I found myself taking less and less photos by the end of the week. By that Thursday, I think I had covered pretty much everything that I wanted to but I did return that Friday to get whatever else I couldn’t capture before. There are times when I would walk by and found myself not being able to get the shots I wanted because either too many people were around or maybe the hoods weren’t open or something. Friday was a short day since it was only open for so many hours so I just got whatever I could as I walked the show one final time…. 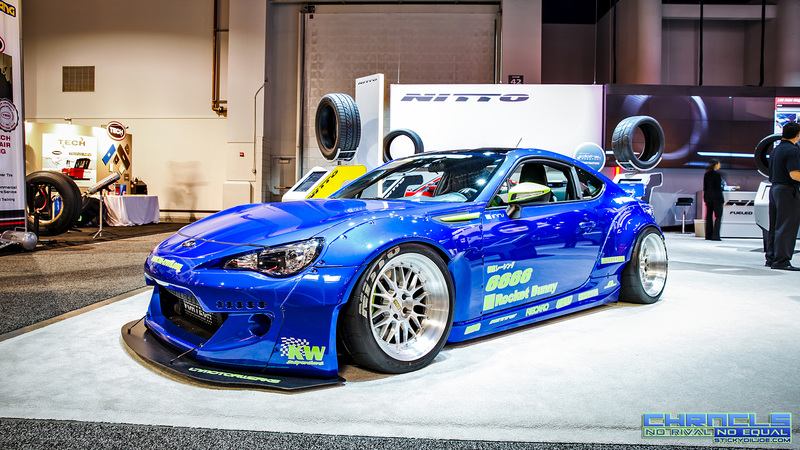 One of my many favorites from the SEMA Show this year was also parked in the ISS Forged booth. This FD3S RX-7 looked stunning with a Total Car Produce Magic widebody aero kit…. Those ISS GT-7 wheels were actually designed by a local guy here Matthew Law who does his work under ML24. Which is the same guy who did the flares for the ‘Project Breezy’ FR-S. He designed the wheels on the Catalina too. Pretty cool to see a Toronto guy doing so well. Also the Tootsie’s Speed Shop C-10 was built for a mom which is also rad.